A wethr app 4 cats, by cats - on ur phones! 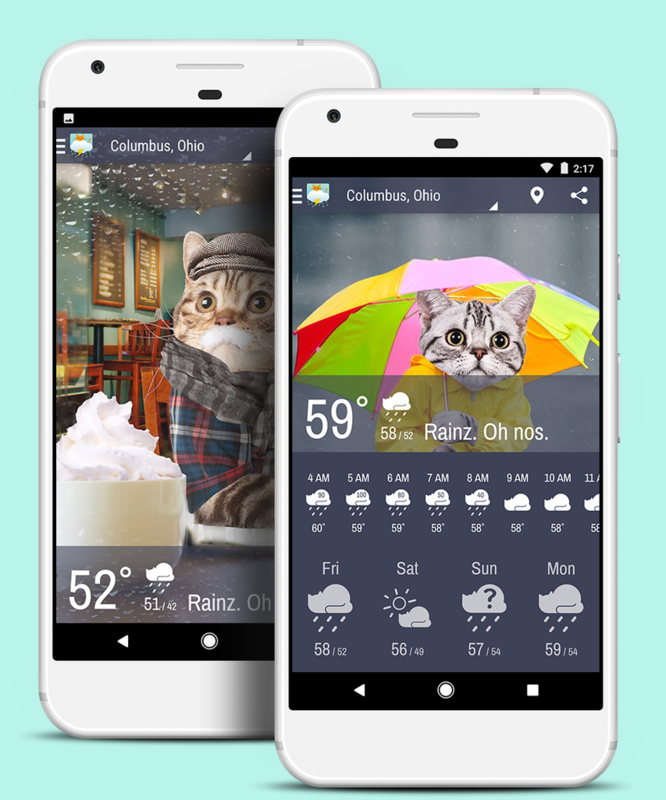 Get weather updates on your smartphone with the most purrrfect app ever. Weather Whiskers pairs accurate forecasts translated into LOLspeak with cats dressed for the weather! © 2017 IAC Search and Media Technologies Limited.